What is NEST? | Northwest Ecosystem Survey Team! Under Survey and Manage, a red tree vole nest site is required to receive a 10-acre surrounding buffer where no ground disturbing activities can occur. Following a little research, they realized just what needed to be done to do a much more thorough job, on their own. Since this time, NEST has found hundreds of Red Tree Vole nests in areas that were slated for logging. Thousands of acres of red tree vole habitat have been saved, as a result of NEST surveys. Timber sales that have been canceled or reduced, largely due to NEST surveys, include the Clark Timber Sale, Straw Devil, Wagon Road Pilot Project and others. NEST has surveyed everywhere from the Illinois Valley of Southern Oregon, as far north as the Mt. Hood National Forest, and many sites in between. Some timber sales surveyed include Althouse Sucker, Anderson West, Deer Creek, Boney Skull, Cow Catcher, Trapper, and many others. What is this “Survey and Manage” that you speak of? Survey and Manage is a program of the Northwest Forest Plan, which was a set of procedures and laws implemented in 1994, to cover a region of 24.5 million acres throughout Washington, Oregon, and California. Under Survey and Manage, it is required that specified rare and sensitive species are surveyed, prior to “ground-disturbing activities.” The red tree vole is one of two mammals on the list. In the case of the red tree vole (in some regions), a 10-acre buffer area is created around each nest site (a nest site being as little as one active nest up to several active and inactive nests), where logging cannot occur. Thus, the more nests that are found, the more red tree vole habitat there is that is protected from logging. In early 2008, Survey and Manage was repealed for the second time in a decade. However, thanks to the efforts of a lawsuit brought about by a coalition of environmental groups, Survey and Manage was re-implemented again in late 2009. While it is back for the time being and foreseeable future, the ultimate future of Survey and Manage remains uncertain. Until then, however, NEST will be surveying and documenting protected species habitat, with a goal of protecting as many habitat as possible! NEST is a 501c3, non-profit organization. All donations are tax-deductible! These is a brief overview, with links to articles/media, of past areas surveyed by NEST. 2006: In 2006, NEST surveyed the Trapper Timber Sale – just east of Eugene; as well as Anderson West, Tennessee Lime, East Fork, and South Deer – all in Southern Oregon’s Illinois Valley. 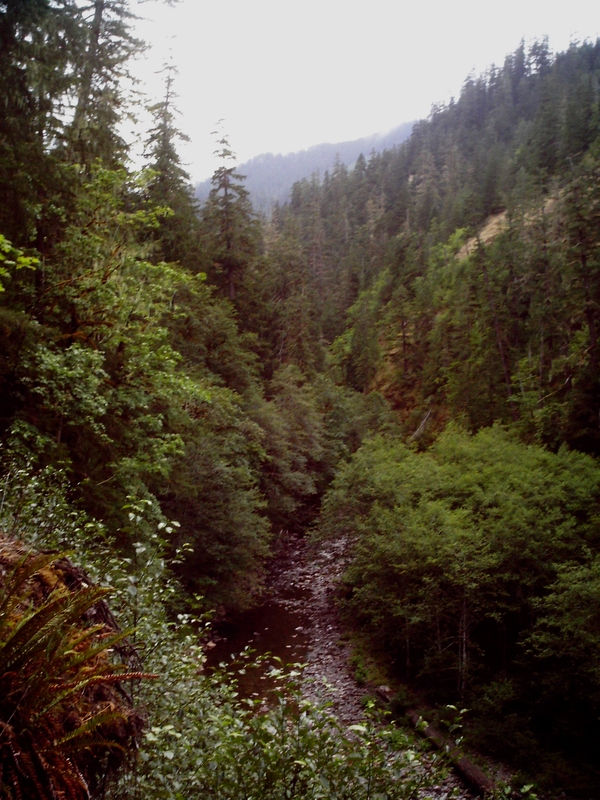 2011: White Castle timber sale (Myrtle Creek Pilot Project). Located east of Myrtle Creek on BLM lands. Cascadia Forest Defenders started a tree-sit in White Castle and occupied the area until the sale was dropped. This project was dropped due to a lawsuit brought on by Cascadia Wildlands when the BLM ignored NEST’s data. The court case set great precedent for NEST in that the judge ruled that the BLM can’t just ignore our data. This is also the year that welcomed one of NEST’s best new climbers who would later become one of the most celebrated and accomplished NEST organizers. In 2016 a climb camp was held in the unit where NEST surveyed extensively. 2012: North Fork overlook. Located in the Salem BLM. Sale was mostly cut, but NEST’s data lead to about 17 acres being set aside. 2013: Second Show. Eugene BLM. This timber sale was eventually dropped but not before NEST’s data was accepted and verified. 2014: Quartz Timber Sale: Located just east of cottage grove, NEST found almost 100 nests. 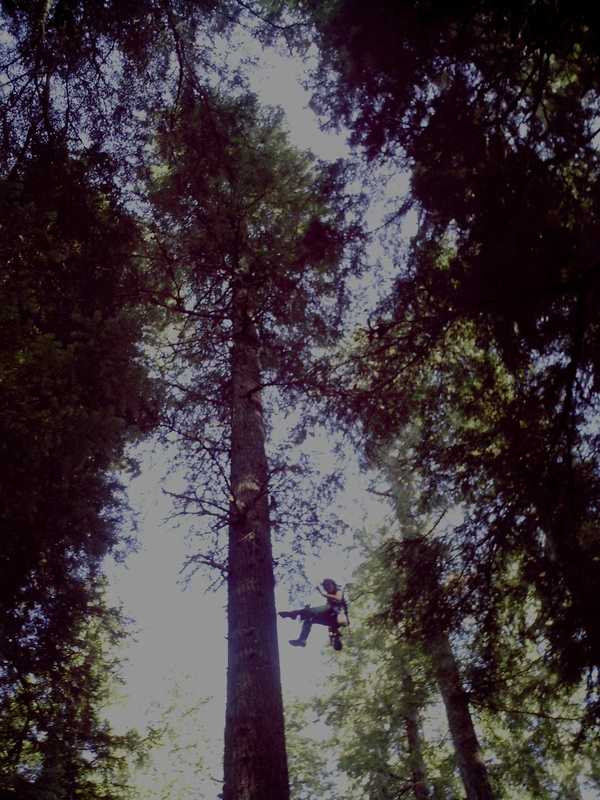 One tree had a nest over 200 feet high and the tree itself measured 250′. Green Mountain: Located above the cougar reservoir in the Mckenzie ranger district NEST surveys lead to the removal of two 20+ acre units. Red tree voles? What an awesome story! It’s very cool that these little guys could help save so much forest, so many trees, so much LIFE! Come check out the NEST table at PIELC conference! 17 more red tree vole Nests in the Picket West sale.